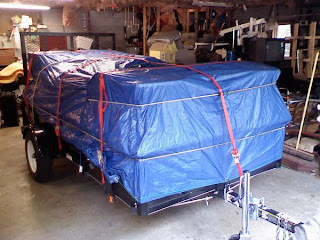 This is the trailer that we used to transport our things from home. My dad and I spent three days loading it and securing it. We loaded the back of his truck, Lindsey's car, my mom's car and pulled the trailer (and another full luggage buggy) down HWY 26 on Monday.